Flex Face Graphics - Hightech Signs, Inc.
Want to turn your van into a moving billboard but keep the flexibility of easily changing your message? The flex face graphics system may be the right choice for you. Hightech Signs in Charlottesville will install a lightweight frame on your vehicle, print your custom message on banner material, then professionally install the system. 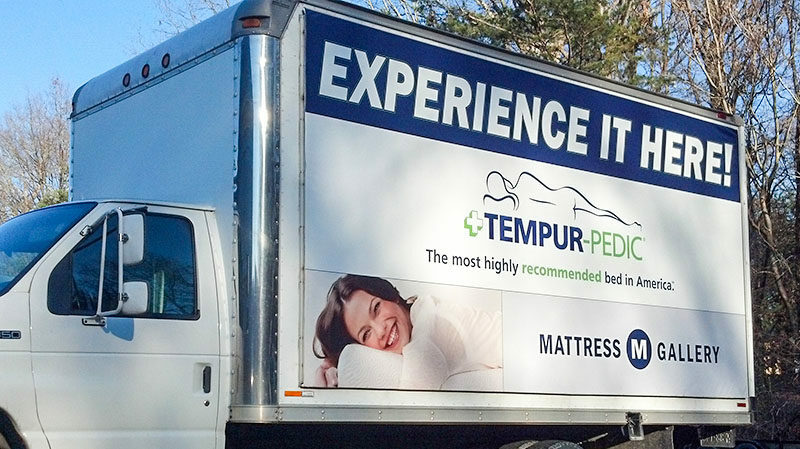 With the ability to print large scale images, Hightech Signs can provide you with a full-color banner to display on your company van or delivery truck. Need help with the design? Contact our team for a consultation.